Obafemi Awolowo University , OAU admission lists for the 2017/18 academic session are all out online. OAU Admission List 2017. You can read about NYSC Batch B registration 2017 now. If you want to Apply Now Here www.nysc.gov.ng or portal.nysc.org.ng for nysc 2017 Batch B registration, then you have to calm down and read this step by step guide. WAEC is to begin the process of releasing SSCE 2017/ 2018 results, 60 days after the exams - The new standard for result is to be launched with the 2017 West African Senior School Certificate Examination. WAECDIRECT ONLINE - RESULT CHECKER 2017 | 2017 WAEC Results Releasing Date - The 2017 WAEC Results to Be Released after 60 Days of Exam. 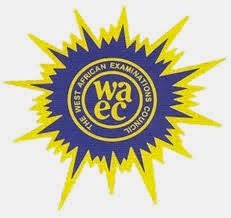 The West African Examinations Council (WAEC) has disclosed to the general public that they working on how reduce the waiting days for the release of its West African Senior School Certificates Examination (WASSCE) results to 60 days as against the usual 90 days. How to Check 2017 WAEC May/June Result Online | Check Your WAEC Result Here waecdirect.org - We have been receiving series of text messages and mails from our readers regarding the 2017 WAEC May/June result. Majority of the queries are been centered on when 2017 Waec result will be released and be accessible online. List of illegal degree awarding universities operating in Nigeria, by National Universities Commission (NUC). JAMB Denies Opening Change of Course / Institution Process for 2017 UTME - The Joint Admission And Matriculation Board (JAMB) has denied opening the portal for candidates to change or correct their course, institution or even data for the 2017 UTME. 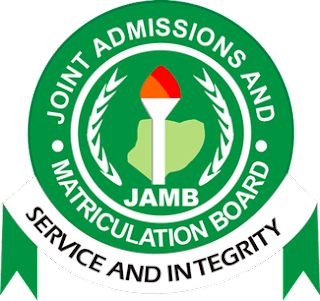 This announcement came after a large crowd stormed the Ikoyi, Lagos office of JAMB, claiming that JAMB closed the portal to Accredited CBT Centres because they were extorting the candidates. The candidates claimed that JAMB had instructed all CBT centres to refer candidates to only their offices Nationwide. It was even reported that 9 Candidates Fainted due to the crowd, while trying to successfully effect a change in their Course/Institution. We're not sure why JAMB released this statement, since many candidates here had confirmed to had successfully effected 2017 Change in Course/Institution at CBT centres. Benjamin said that reports reaching the headquarters of the board indicated that a large crowd of candidates on Wednesday besieged the board’s Lagos office. He said the development was creating unnecessary anxiety and chaos where there should be none. "This announcement became necessary following the crowd in our offices by candidates demanding for such services. "Affected candidates are urged to remain calm as we shall contact them when the time is right. "The request for correction of data is usually from candidates, who provided wrong information while filling their application document online," Benjamin said. According to him, the change of institutions is for those who are considering other preferences other than their initial choices. He noted that the candidates were misled to believe that the board had started such services and would soon close. He said that when the board opened the window for correction of data and change of course it would make the announcement. He assures all candidates desirous of carrying out the correction of data or change of institution that the board would ensure that enough time was given for them to do so. Benjamin also explained that the board had not finished with the conduct of the 2017 UTME. "The board is still conducting examinations for those who registered late and those who could not be verified during the examination. "As such, it will be unfair to them to open window for such correction and changes at the same time. "Our reforms are meant to make our services accessible to all conveniently." He also said that JAMB would decentralise the service when it eventually opened its portal for it. "We are collaborating with the University of Lagos, Yaba College of Technology and other stakeholders on this in Lagos. We will do same in other states. "This will ease the pressure on our various offices and ensure a hitch-free process." UNN Denies Announcing 2017/2018 Cut-Off Marks For Admission Screening - The attention of the Management of the University of Nigeria Nsukka (UNN), has been drawn to Social Media Advertorials making the rounds about University of Nigeria cut-off Marks for admission. Unilag post utme 2016/2017 form, Exam Date - Past questions – The online registration application form guideline is what you will read here. University of Lagos Akoka post utme 2016 screening exercise guide is written down below. Fill and submit Unilag post utme form. Unilag post utme form is usually sold N2000 naira. You can get yours when the 2016 registration begins. The application will just need you to update some information and upload back. The update is done via the unilag website. University of lagos post utme form 2016 online registration should be completed and printed before the deadline. The application deadline/closing date will be listed on the school website. Unilag post utme form is for students who meet the school required marks through Jamb. 2016 unilag post utme online registration will commence on the dates specified by school management. Kindly ensure you submit your university of Lagos post utme form before the deadline. Below I will be listing the all the requirements for the 2016/2017 post utme of unilag. You meet to meet unilag cut off mark for post utme 2016. Unilag post utme form is for candidates who is or has exceeded 16 years. Sixteen years is the minimum age requirement for all students who want to get admission through post utme screening exercise. Unilag post utme 2016 form mandates all applicants to complete the online registration carefully. Ensure you verify your details carefully before you submit when the form comes out. Payment of N2, 000 (Two thousand naira is to be made into the school approved/designated banks. The payment will cover your bank processing fees for your 2016 unilag post utme form. Below are list of banks you can obtain the form. Please ensure you pay into the main school unilag post utme designated banks. We will update you when the form is officially out okay. Also you can check here on how to check your unilag post utme result online. Your names: write down your names the exact way it was writing on your passport, if your name if matt Johnson make sure you write it in that same way and not mixing everything up like Johnson matt. Contact: write down your email and phone number. Write your hose address, if you have two residences write down the place you stay most. I have come to find out that lots of person don’t know the exert thing they should include on their resume and this has been a major contributor to high rate of unemployment in London and other parts of the world. 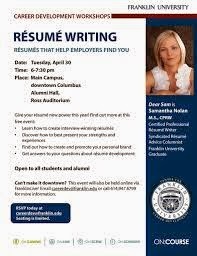 I will give you a detailed list of things you need to put in your resume in other to make it worth looking at by your interviewer. Am about to show the ultimate solution to your little cv problems, before you write a cv look for the best cv sample in other ho compile your to the best taste. Some people have been hurt may times due to their inability to follow simple instructions tabled down by some other people and this has caused them more harm than good. i strongly hope that you will follow my instruction. Learn the best practice involved in writing with pure perfection for a better chance of getting any work or job of your choice. Having good knowledge of something, makes you a perfect man in your lane, dear friend if you have been having much hard times in writing a good cv for your new proposed work then you should read this post to the very last full stop on the page. Follow my instructions one after the other. Read every recommended post on this page for more clarification. 1. Use the best cv format for your application: when writing for an engineering work make sure you don’t make use of medical cv format for your proposed boss, if you do so you might be getting out of the job. #bring back our girls is a program that began across Nigeria and the whole world, over the Chibok abducted girls who are at the Sambisa Forest The federal governments of Nigeria are in partnership with many foreign countries like China, United State of America, Ghana, South Africa, United Kingdom and lots more, has been searching for the Nigerian Chibok abducted girls kidnapped by the Boko Haram group. These girls whom are known to be more than 200 in number were captured from their place of learning on the April 2014 and kept in the Sambisa Forest. Ever since then many news and stories get told by different journalist on the print media, television, radio and internet.